Stir together the first three ingredients and pour into a lightly greased 9×5 inch loaf pan. Bake at 350 for 45 minutes. Pour melted butter over tops. Bake 10 more minutes. Let cool in the pan for a few minutes and then remove from pan onto a cooling rack. Serve warm with honey. Trim fat from steaks. Place steaks in a shallow dish. Combine all ingredients in a small bowl. Spoon spice mixture over steaks and rub all that goodness in with your fingers. Cover and mainiate in the fridge for one hour. Grill the steaks for 12-15 minutes depending on your tastes, flipping halfway through. 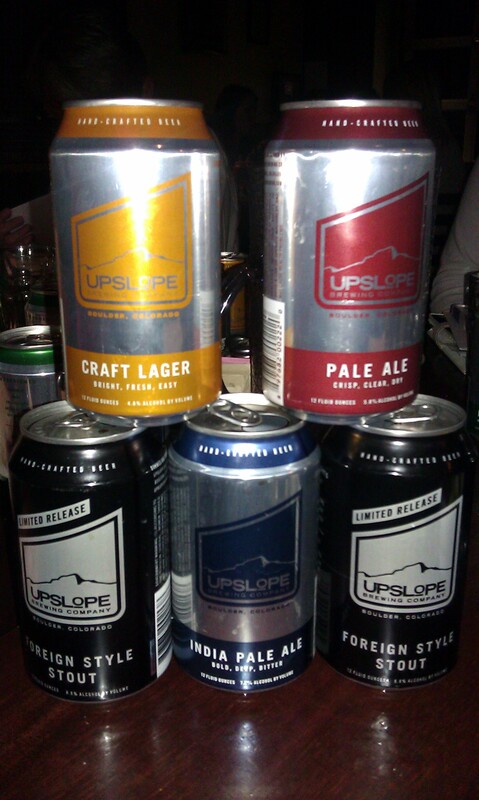 Cut steaks into serving size pieces and crack an Upslope IPA for each steak served. This entry was posted in Food and Beer Pairing, Women and Beer and tagged beer and food pairing, Crafty Ladies, Highland Tap and Burger, Upslope Brewing, women and beer.